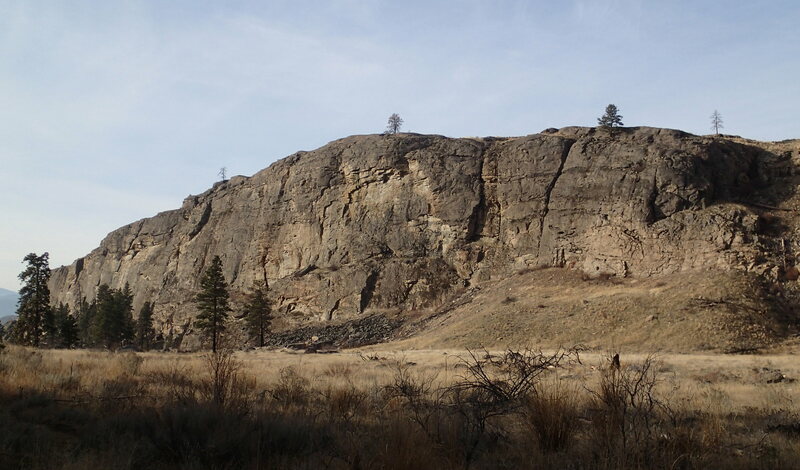 With winter quickly receding, the rock in the Okanogan country is ready to climb. 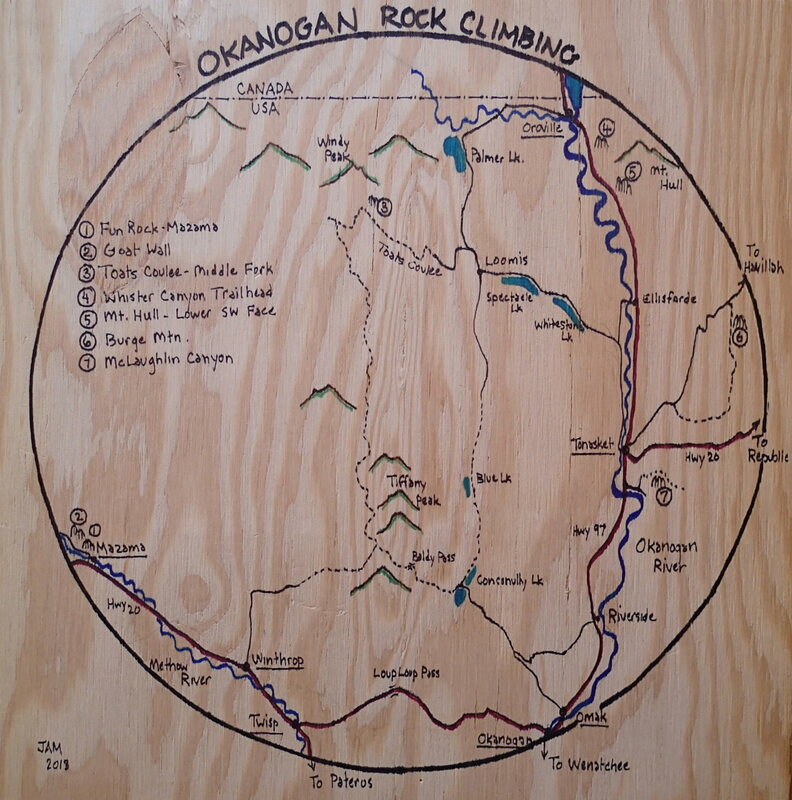 When is the best time to climb Okanogan rock? 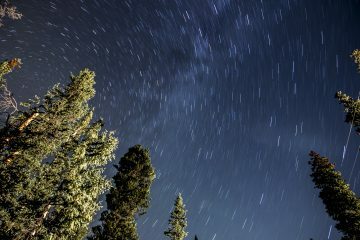 That’s not the existential, timeless now, but right now at the end of winter and start of spring! Springtime at Whistler Canyon Trailhead. 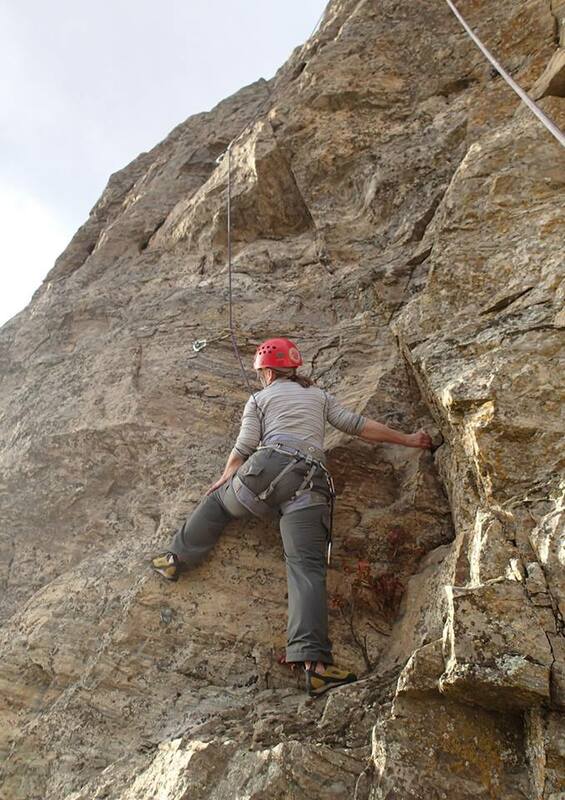 This year has been unusual; I was rock climbing on January 3rd at Whistler Canyon Trailhead. Then in mid-January, my wife and I climbed in short sleeves and 60 degree temps on the lower SW Face of Mt Hull. More typically the end of February through April are the best months for climbing because 1) the Okanogan Valley can be oven hot in summer, and 2) there are always the rattlesnakes…. Climber at Abracadabra on the lower SW Face of Mt. Hull. The climber friendly website Mountain Project lists seven distinct areas within the Okanogan Region. All of these except the Kettle Valley (Curlew) are in Okanogan County. Three of these areas are at low elevations along the dry hills of the Okanogan River Valley. These are all best to climb when it’s cool and the snakes are hibernating. Summer climbing is good at all these crags but you need to follow the shade and be mindful of the snakes (e.g., hike deliberately and not too quickly with trekking poles, wear boots and gaiters; watch where you grab). The mountainproject.com site gives all the route details for these areas so I will keep this simple and limited to an overview of how these various areas compare. Here is a list showing the relative quality of rock and when the climbing season begins at each. I am making no comment on the quality of routes found at these areas because there is so much variety and personal preference, and even crappy rock can sometimes yield great routes. That being said, I’ve still listed these in my order of preference, from best to worst. 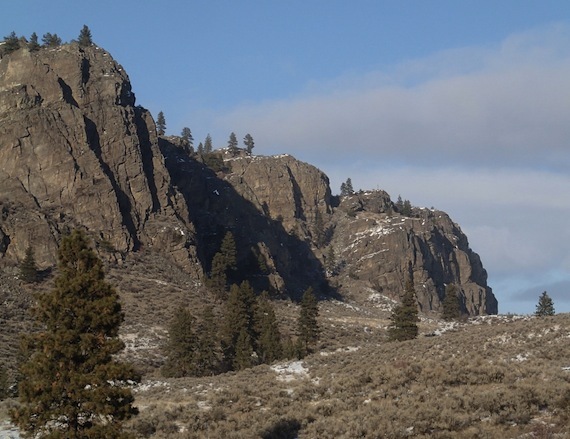 1 – Kettle Valley (Curlew) 1850’ elevation; mostly south-facing granite with 50- to 300-foot bolted, gear and mixed routes. Climbing usually begins in March and lasts until late October. The summers can be hot, but there is always the river to cool off in. Also, there are not many rattlers here. 2 – Mt Hull – Lower SW Face(Oroville) 1500’ elvevation. South- and west- facing gneiss cliffs with a preponderance of 100-foot-long bolted routes. Climbing is best from February to late May and then again from September to November. 3 – Whistler Canyon Trailhead(Oroville) 1000’ elelavtion. South- and west-facing gneiss cliffs with rock remarkably better than it first looks. Very easy access to mostly bolted routes that are 50 to 300 feet long. 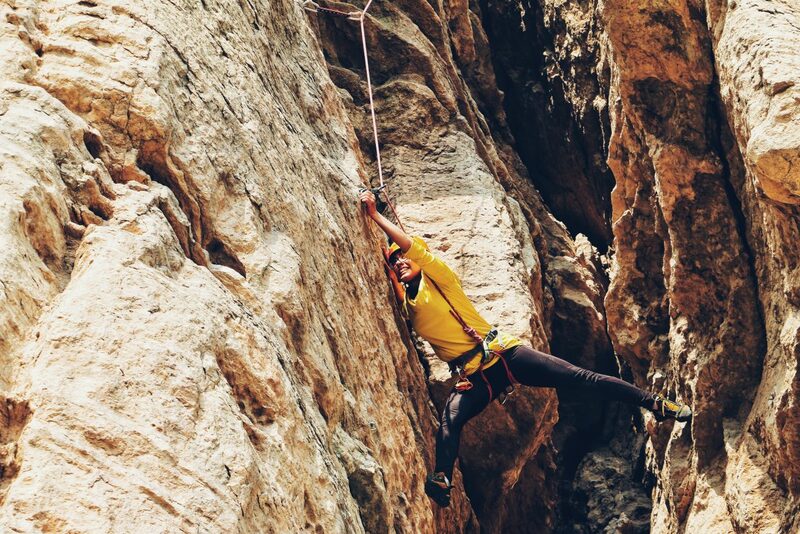 Climbing is best from February until late May and then again from September until November. 4 – McLaughlin Canyon (Tonasket) 1450’ elevation. East-, south-, and west-facing gneiss cliffs from 50 to 500 feet tall. The area offers some great adventurous trad climbing as well as some shorter sport routes. The best season is late winter to late spring and then again in the fall. 5 – Burge Mountain (Tonasket) 3400’ elevation. South- and west-facing gneiss cliffs in a beautiful setting with mostly bolted routes ranging from 50 to 360 feet in length. The climbing season begins slightly later due to the higher elevation, but it also is more pleasant in the summer, and there are no rattle snakes. Usually the area offers good climbing by March. 6 – Toats Coulee (Loomis) 5250’ elevation. This is a late-spring to early-fall granite crag. There are not that many routes, but it’s a lovely, remote wilderness setting with easy access. Mazama crags are busier than other sites around the region. 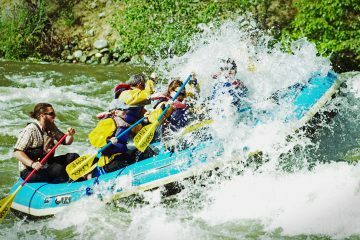 There are more climbers throughout the Methow Valley, more students visiting that are connected to Outward Bound students, as well as a published guidebook. McLaughlin Canyon showing more typical end of winter conditions. The first six areas mentioned only have informal guidebooks and web materials published about them, so they see far less climbing traffic. As such, come prepared for the occasional dirty route with debris and brittle rock; helmets are recommended, as is a wire brush. 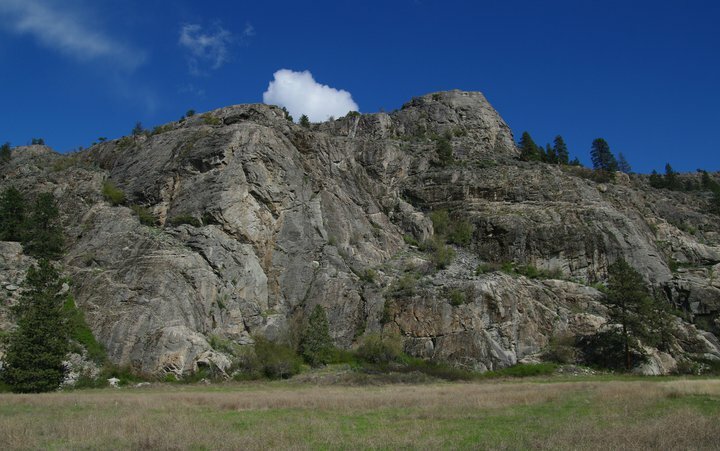 Northern Crag of McLaughlin Canyon showing late winter conditions. the standards and the etiquette tend to be more more old school (again, Mazama is the exception). Finally camping is possible at all these crags as they are on public lands (BLM and/or Forest Service). This post was originally published on 3/21/14.